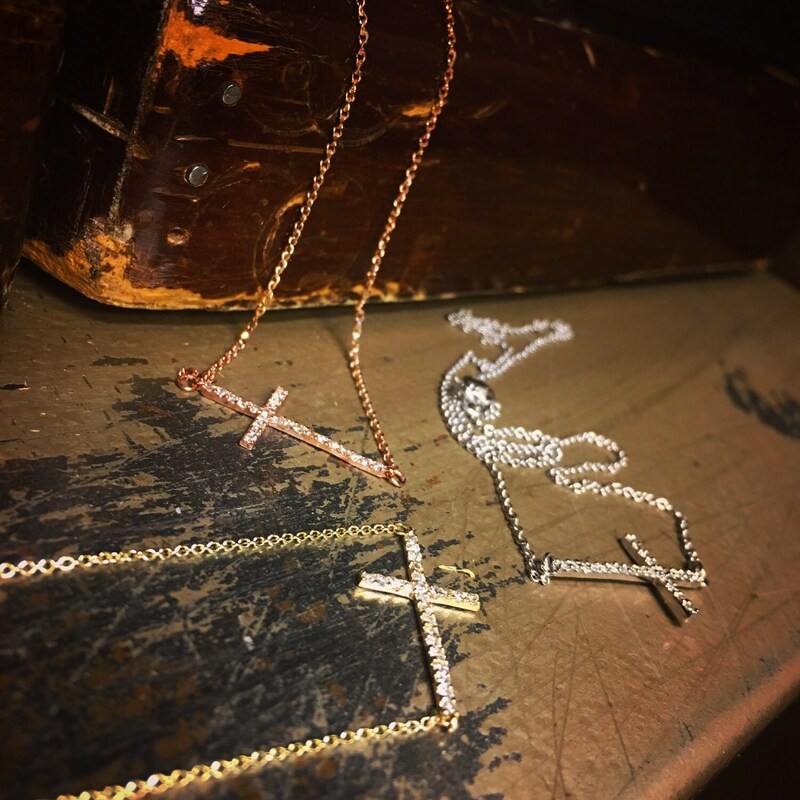 Beautiful genuine 14 karat yellow gold diamond sideways cross necklace. 0.22 pts of genuine quality grade round diamonds . 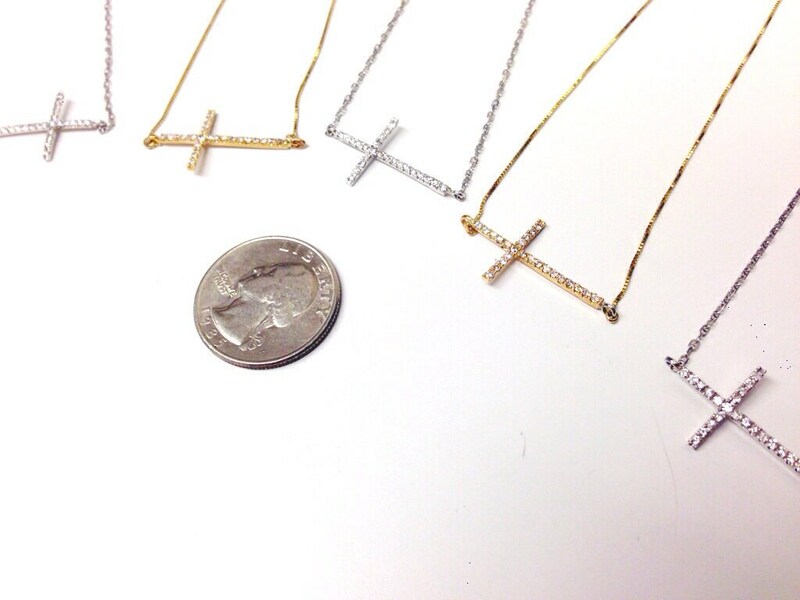 Available in 14k yellow gold or 14k white gold. 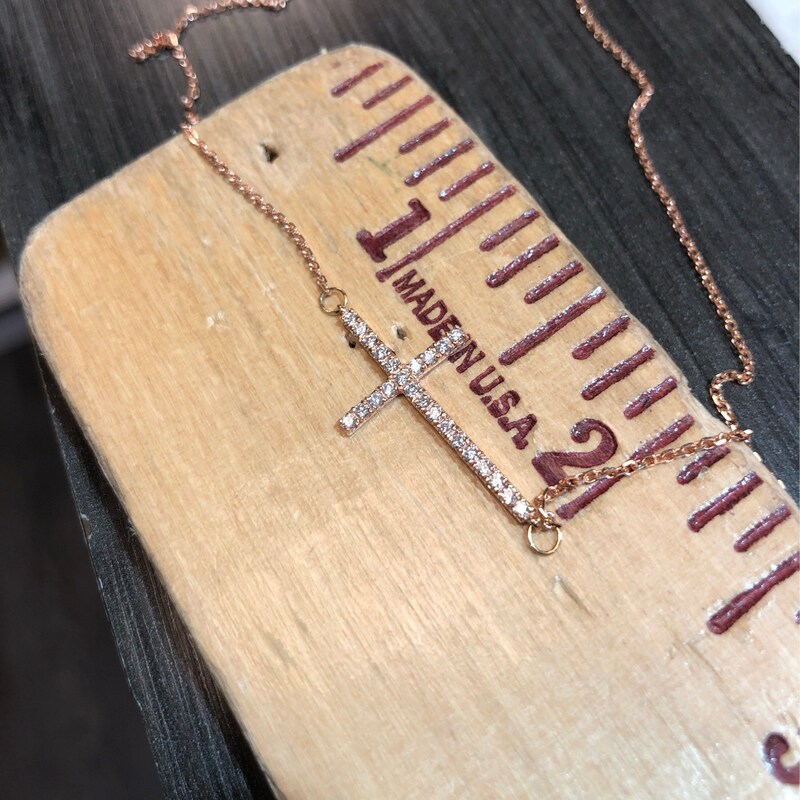 Length of necklace is 18".